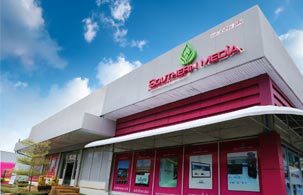 Southern Media Phuket Southern-Media Phuket is a fully integrated printing production company in phuket. A variety of billboards, both inside and outside. And outside Phuket (Billboard in phuket), stainless steel signage, acrylic sign (Acrylics sinage) And many more.